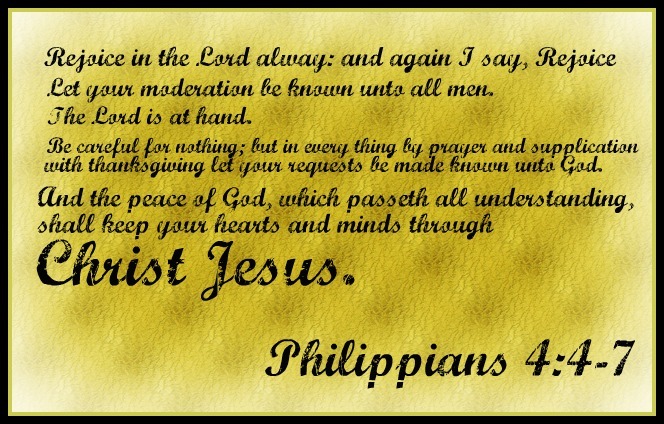 Christians should be seeking the peace of God at all times. We live in a world that is not peaceful without Christ. The only real peace will happen when the Prince of Peace, the Lord Jesus re­turns for us. But what about in the here and now? Can we achieve peace? It all depends on what kind of peace we are searching for. If it is world peace, then we may not see much of that in our lives. But if it is spiritual peace, we can enjoy that in abundance. We are called to live in the world but not be of the world (I John 2:15-17) so how do we en­joy and live in the peace of God?